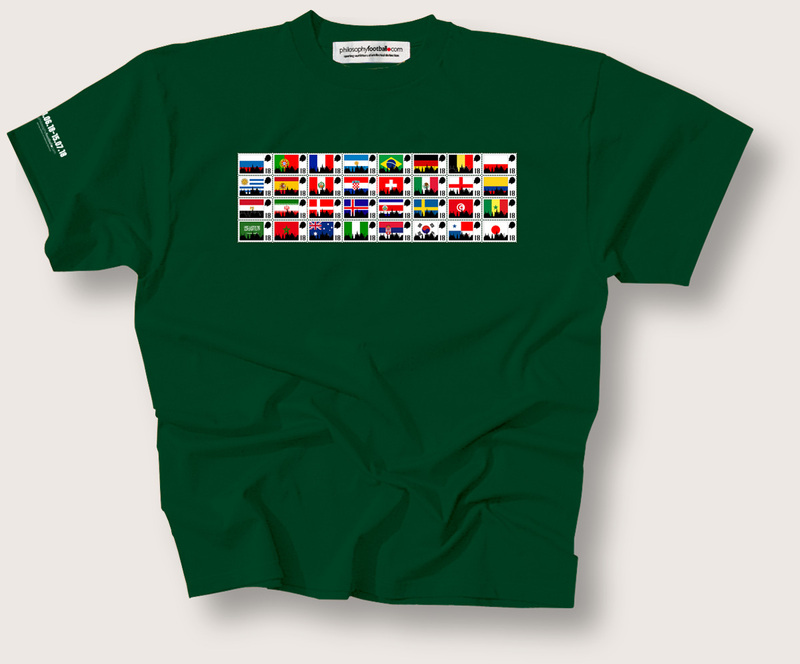 Our tournament shirt shows all 32 World Cup nations, represented in our unique, strictly unofficial and entirely original postage stamp design, and arranged in their eight intriguing groups. Not just for philatelists though, it's perfect for internationalist followers of the people's game everywhere. Unisex size small (36inch chest/90cms) . Plus! Women's fitted size large (12) Available as listed in drop-down menu below. Gift wrapping service. With exclusive Philosophy Football wrapping paper and gift tag. To personalise your gift tag type the message you would like us to include in the box provided below.